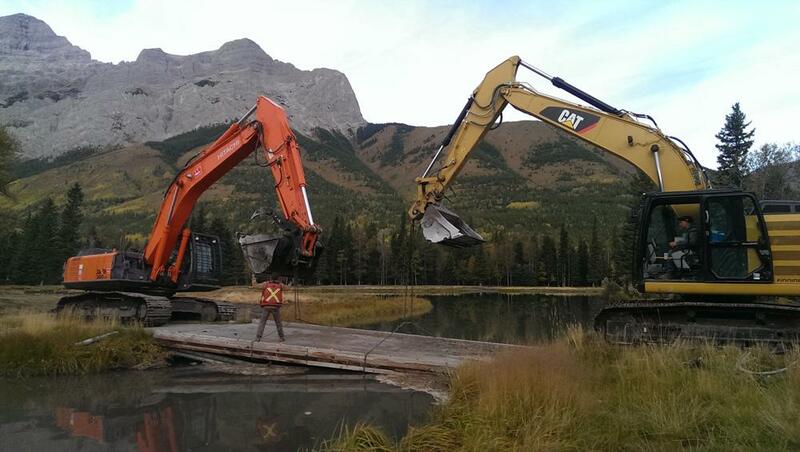 Dueling excavators replacing the bridge that was washed out on #6 Lorette. 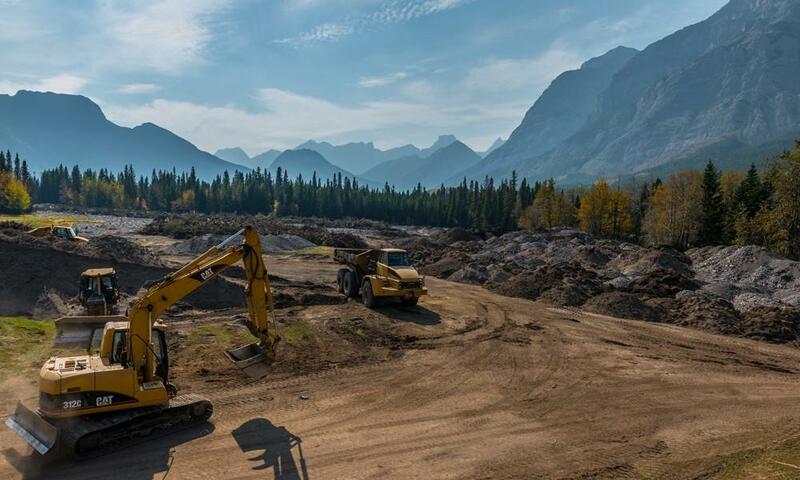 The driving range has slightly changed since the flood as it now serves as a stockpile area during the restoration. 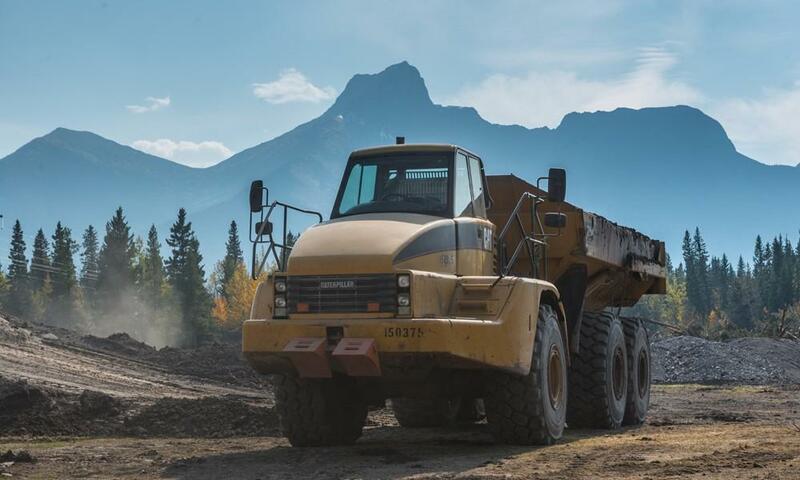 Large rock trucks are used to move materials around the golf course. 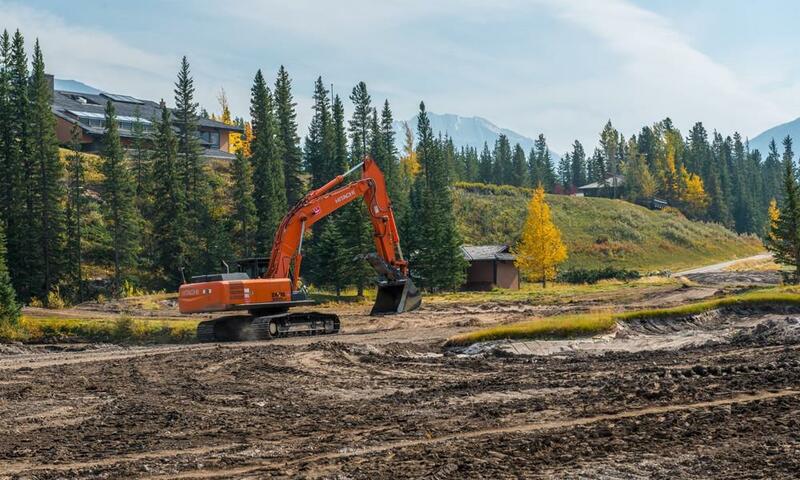 The orange Hitachi excavator blends in nicely with fall colors on the 10 th hole of Mt. Lorette. 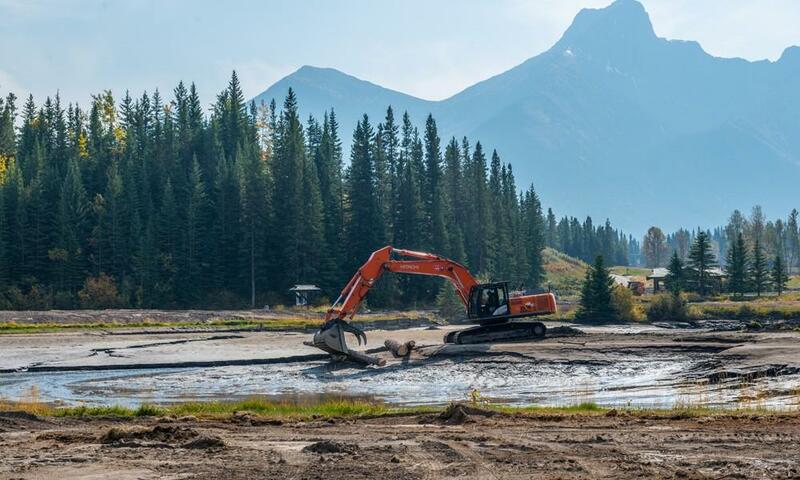 Tremendous amount of silt from the flood that needed to be revomed from the ornamental ponds between #1 and #9 Lorette. 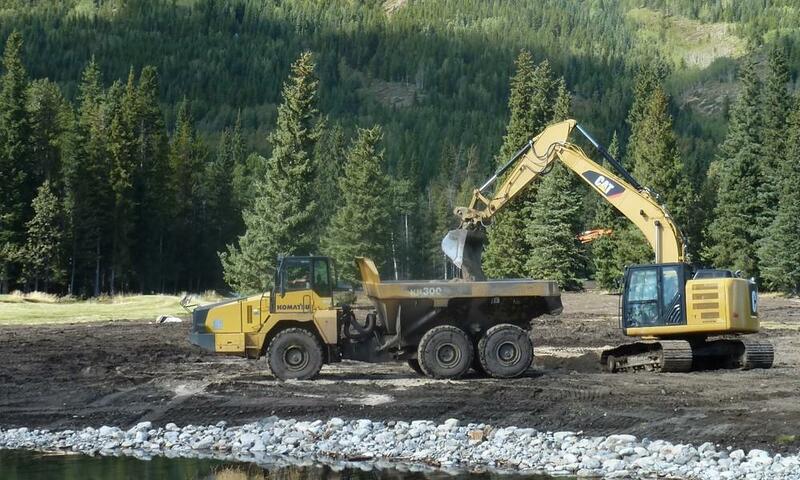 "Coming and Going" One rock truck filled with trees and material leaving the 18th fairway on Mt. Kidd while another is on its way for another load. 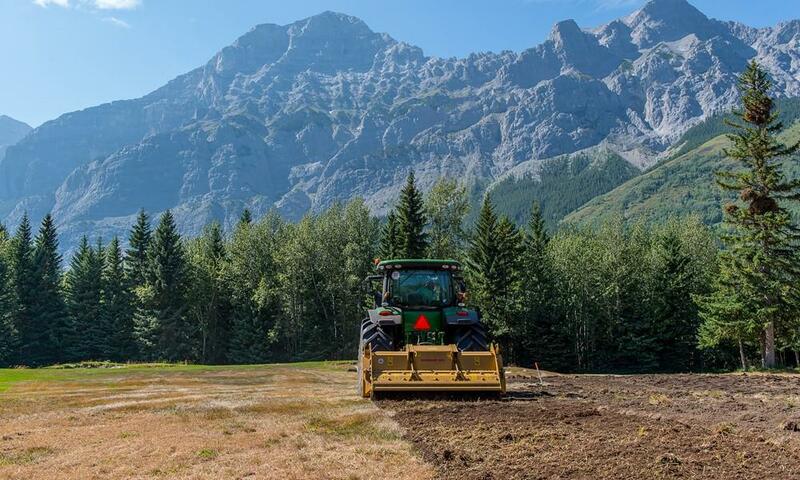 This seppi M cultivator is used to mulch the existing grass and topsoil before rough shaping is done. 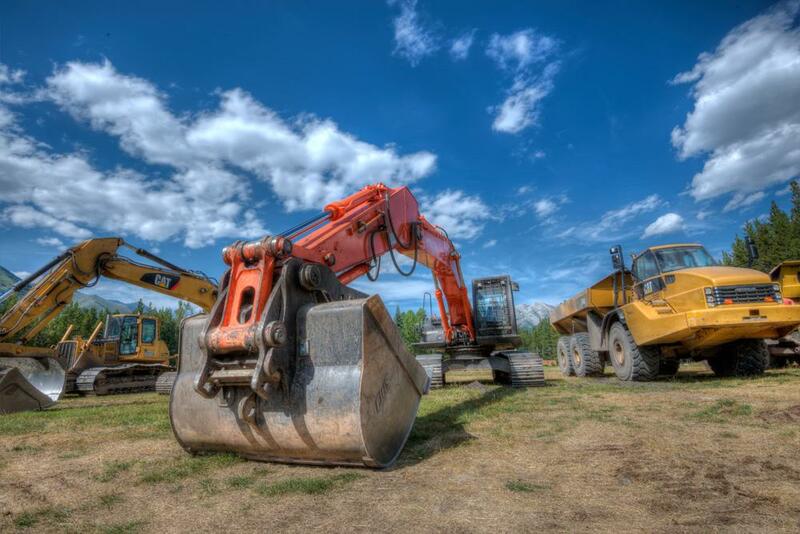 A close up look at some of the equipment being used during the restoration. 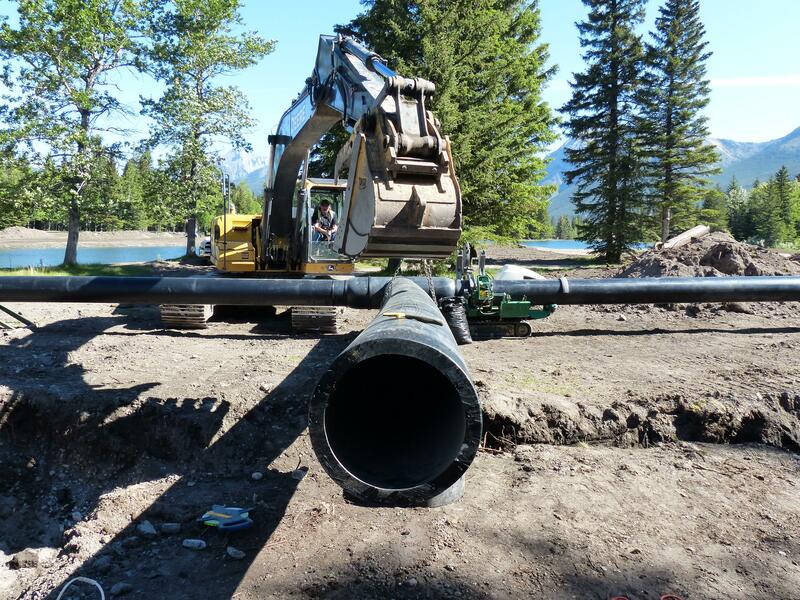 T-Line valve being readied by the irrigation team for pumphouse installation. 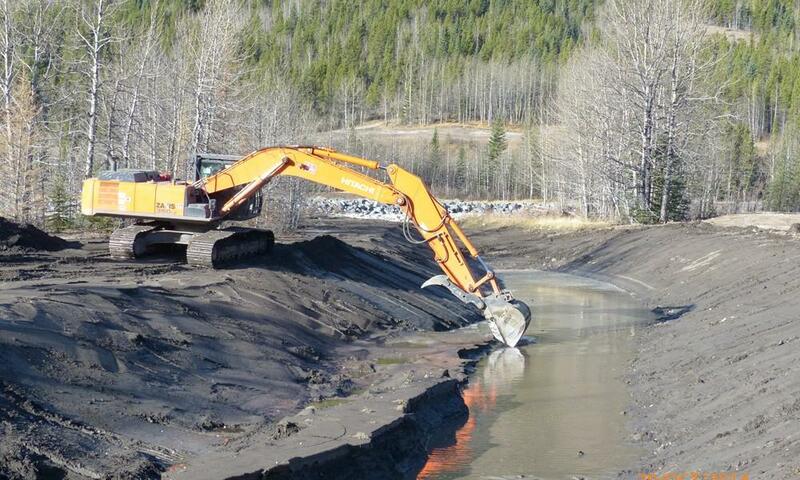 Another angle of one excavator in the pond relaying silt to another outside of it for more efficient dredging. 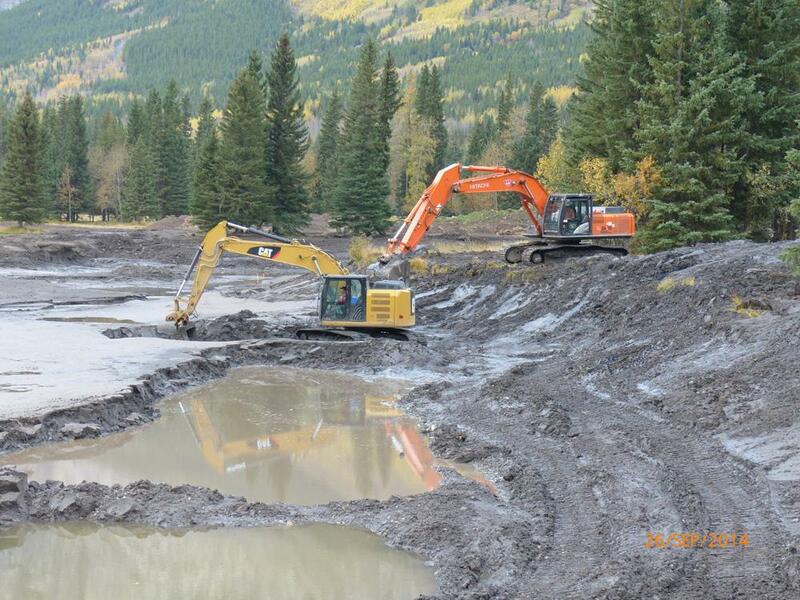 Photo of an excavator on #14 Kidd where the major breach of the Evan Thomas River took place. 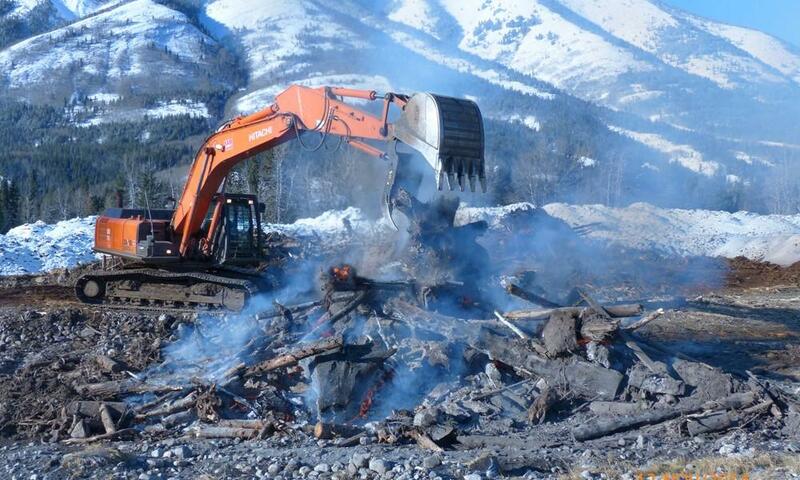 During the winter, thousands of trees that were fallen and left behind by the flood were burned on the driving range. 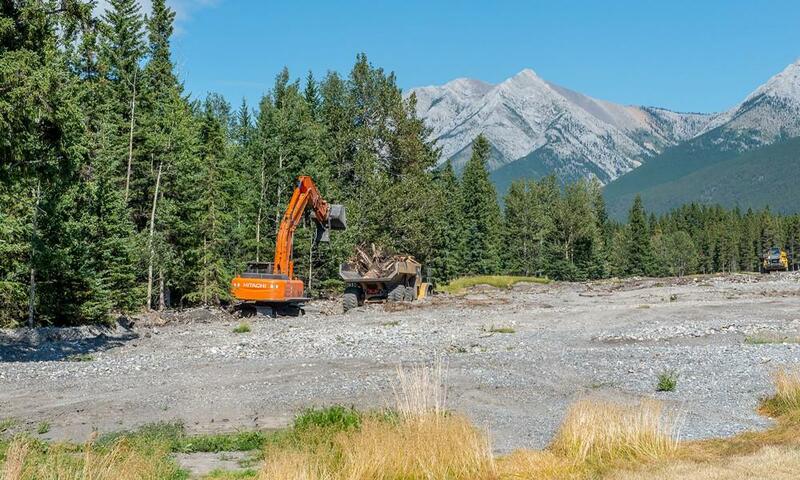 Dredging the creek that runs between the Kananaskis river and the 12th hole on the Mt. Kidd golf course. Nice office while working! Mt. 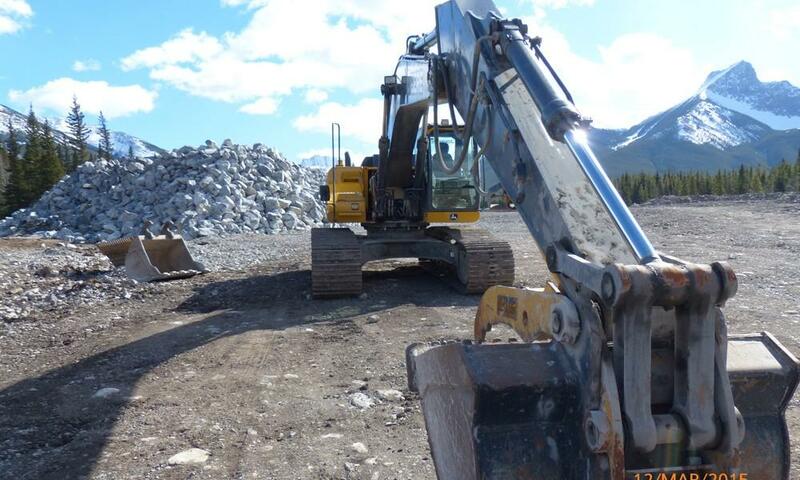 Kidd serves as a nice backdrop for this rock truck and excavator operator. 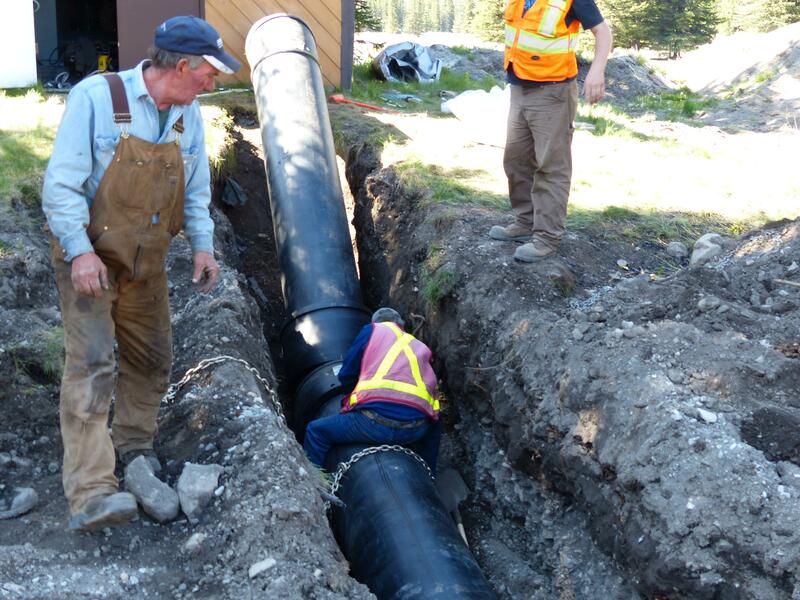 Irrigation team busy at work fusing the last piece of pipe going into the pumphouse. Water soon!! Layer of drainage rock being applied to the double green during construction.